SOLD Completed on 11/13. 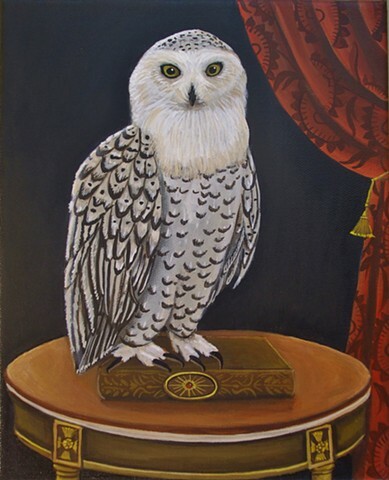 Snowy Owl is 8x10 painted with Golden acrylics on stretched canvas. The sides are painted. I continue with my fascination of owls. This has a Harry Potter feel to it don't you think? Thanks for looking! Shipping is a separate invoice $12.00 in the USA 30 international.